The roots of rock and roll are deeply seeded in the musical culture of the Southern United States. These roots run deep into African-American culture and include blues, gospel, country, hillbilly, jazz, and rhythm and blues. So it is no wonder that when rock music splintered into new directions in the late 1960’s, that it would find its way back to the South, in a manifestation called, Southern Rock. This week, irocku offers up the super-heavyweights of Southern Rock, The Allman Brothers Band, with their often covered classic, “Midnight Rider.” Written by Gregg Allman and Robert Payne and released in September 1970 on The Idlewild South album, “Midnight Rider” is widely considered to be the band’s ‘signature song. That is a pretty incredible statement considering the history of the band over the past 40 years on the road. It’s a rich history, with over 20 studio and live albums to their credit. They are quite simply, the greatest Southern rock band of all-time. 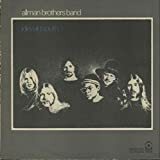 With strong elements of folk, country and blues, the song’s mellow groove is carried along by Duane Allman on acoustic guitar and accented by the tight rhythm section of Butc Trucks on drums, Berry Oakley on bass, and Jai Johnny Johanson on congas. With Gregg Allman playing organ and delivering a superlative vocal, all that’s left is the beautiful lead guitar fills of Dickey Betts and you have a masterpiece. “Midnight Rider” is the story of a man running from his past, running out of time, out of luck, and out of money. He is desperate, yet still running, unwavering in his quest to elude his captors. With the release of “Idlewild South”, The Allman Brothers Band was on the brink of super-stardom. In addition to “ “Midnight Rider”, the album also included the instrumental monster, “ “In Memory of Elizabeth Reed.” Each has become a hallmark of the band’s legendary live shows. With the release of The Allman Brothers Band’s live album, Fillmore East in 1971, the band’s reputation as the premiere jam band was, and still is, firmly in place. Ironically, no one at that time could have imagined that those live recordings from March of 1971 captured a moment in time that would soon be lost forever. ”Midnight Rider” has a bluesy feel to it yet it doesn’t follow a standard blues progression or use blues scales. The intro and verse use a two-chord progression and the solo uses a pentatonic scale combination that was often used by The Allman Brothers in their early years. You’ll find the rhythm of this song hypnotizing and a joy to play on the piano. Second Week: Add the Exercise and Improvisation to your practice. Level 2: Practice the D major and D major pentatonic scales.First Week: Beginners practice the Lesson. Intermediate and Advanced students practice the Groove Chart and the Lesson. Level 3: The quickest way to rock is by learning the Groove Chart! To help with improvising, practice the D major and D major pentatonic scales and the D, C, Bb, and Gm chords.First Week: Beginners practice the Lesson. Intermediate and Advanced students practice the Groove Chart and the Lesson. Levels 4 and 5: The quickest way to rock is by learning the Groove Chart! To help with improvising, practice the D major two-octave scale, the D major pentatonic scale, and the C major pentatonic scale. Also practice the D, C, Bb, and Gm chords.First Week: Beginners practice the Lesson. Intermediate and Advanced students practice the Groove Chart and the Lesson. Levels 6 and 7: The quickest way to rock is by learning the Groove Chart! To help with improvising, practice the D major three-octave scale, the D major pentatonic scale, and the C major pentatonic scale. Also practice the D, C, Bb, and Gm chords.First Week: Beginners practice the Lesson. Intermediate and Advanced students practice the Groove Chart and the Lesson. Did a video of me playing the groove sheet of Midnight Rider. I’m into making one man band arrangements and the groove charts on irocku.com I find work well for that. I am trying to figure out how to work in some riffs from the exercise, improv and lesson while playing the grooves .. but find that hard .. I wish the instructor could maybe demo groove with riffs in the video lessons. Amokaman-Really nice stuff! We sure could use your help in the studio when we record the lessons! This is a great example of you much you can do with just the Groove Charts by nailing the rhythm and chords. If you want to work in some riffs you should be able to drop in stuff from the improvs or exercises right after your last chorus. You might want to ratchet the left hand down to one of the intermediate levels or keep your left hand as you are playing it in the video. The left in hand in the advanced videos might be too busy for your arrangement. Keep rockin! Must say, this site is alot better for a novice to learn these tunes than anything else I have tried. Much better than trying to keep up with Chuck on his DVD. You can try the rhythmic pattern of the exercise over different feels, like a blues shuffle feel, a rock feel, a latin feel, etc. You can also use different chords. The exercise uses C to Bb in the bassline, but try F to Eb in the bassline, or A to G in the bassline. Experiment with it, change certain notes, see how you can make it fit over different harmonies. Congratulations on the Grammy award. Can’t think of anyone who deserves it more. I feel honored, thankful and smart that I found your web site. I may never play exactly like you but, grateful that you’re sharing your experiences with the world. I’ve been playing with exercises for level 5, through various major and or minor chords. I seem to hear some Fleetwood Mac seeping through. Rhiannon, perhaps? Where else could I apply this rhythm pattern? Any suggestions? This is great fun. The Rhiannon pattern is very similar to this exercise in that it has the same ascending diatonic 3rd structure landing in offbeats, though it’s in a minor key. This pattern can be used as a riff over any tune that has a medium tempo rock beat and some syncopated accents, from The Allmans’ “Little Martha” to Vince Guaraldi’s “Linus and Lucy”, from Billy Joel’s “Ballad of Billy The Kid” to The Grateful Dead’s “Fire On The Mountain”.